Lily-of-the-valley Blossoms for a Short Time. 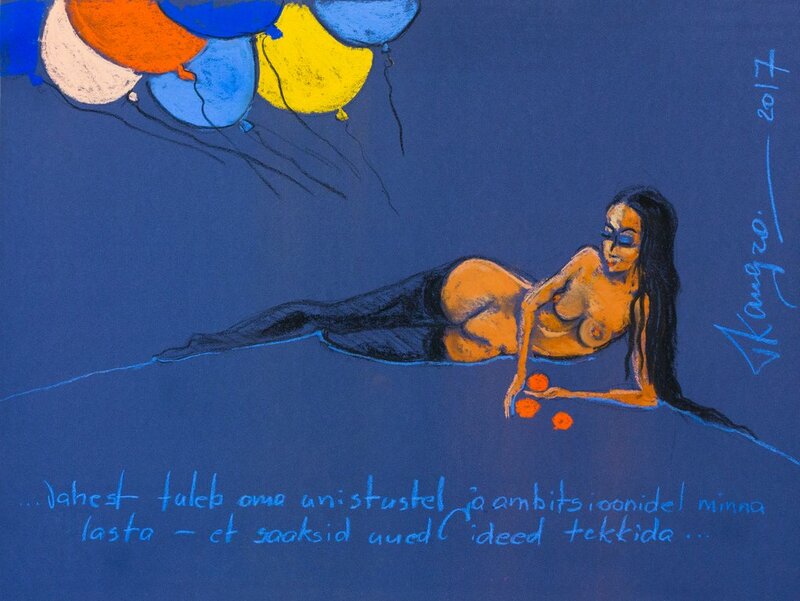 Pastel drawing made in May 2013. 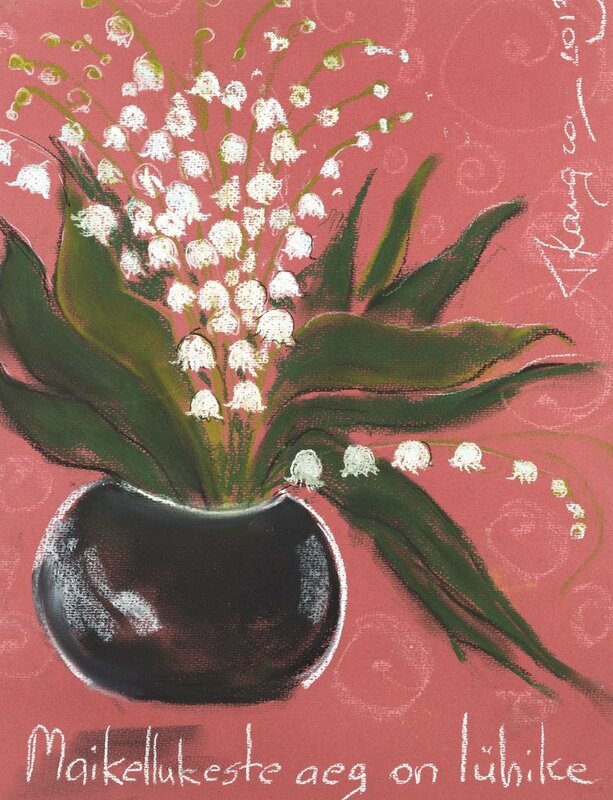 In Estonia Lily-of-the-valley only blossoms during May, hence the name for the drawing. They smell incredibly good and at that time you can find the artist studio filled with these beautiful spring flowers.On the drawing in addition to the artist’s signature and year, there is the title written in Estonian.